The Pandora's Box metaphor is powerful both in its imagery and its suggestiveness. 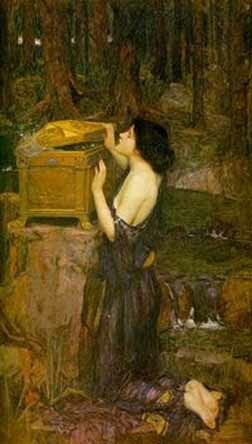 Pandora's Box does not label only the magical present given by Zeus to Pandora, which contained all human ills, but relates to all sources of unexpected extensive troubles. In Greek mythology, Pandora ("all gifted") was the first woman, fashioned by Zeus as part of the punishment of mankind for Prometheus' theft of the secret of fire. The titan Epimetheus ("hindsight") was responsible for giving a positive trait to each and every animal. However, when it was time to give man a positive trait, there was nothing left. Prometheus ("foresight"), his brother, felt that because man was superior to all other animals, man should have a gift no other animal possessed. So Prometheus set forth to steal fire from Zeus and handed it over to man. Zeus was enraged and decided to punish Prometheus and his creation ... Mankind. To punish Prometheus, Zeus chained him in unbreakable fetters and set an eagle over him to eat his liver each day, as the eagle is Zeus' sacred animal. Prometheus was an immortal, so the liver grew back every day, but he was still tormented daily from the pain, until he was freed by Heracles during The Twelve Labours. To punish mankind, Zeus ordered the other gods to make Pandora as a poisoned gift for man. Pandora was given several traits from the different gods: Hephaestus molded her out of clay and gave her form; Athena clothed her and adorned her with necklaces made by Hephaestus as well as taught her manual dexterity and how to spin; Aphrodite gave her beauty; Apollo gave her musical talent and a gift for healing; Demeter taught her to tend a garden; Poseidon gave her a pearl necklace and the ability to never drown; Zeus made her idle, mischievous, and foolish; Hera gave her curiosity; Hermes, along with giving her cunning, boldness and charm, then gave Pandora a box. 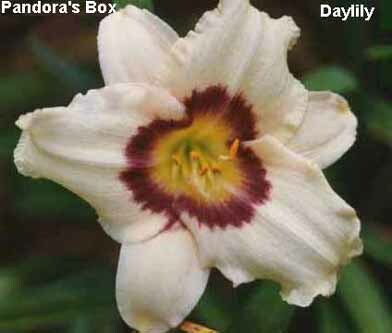 The name Pandora, thus, derives from the fact she's received gifts from all deities: "all gifts". Before he was chained to the rock, Prometheus had warned Epimetheus not to take any gifts from the gods. 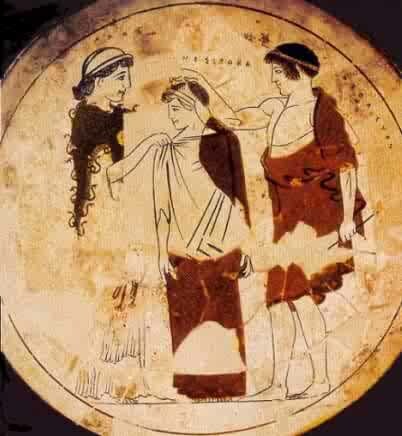 Epimetheus did not listen to his brother, however, and when Pandora arrived, he fell in love with her. Hermes told him that Pandora was a gift to the titan from Zeus, and he warned Epimetheus to not open the box, which was Pandora's dowry. Until then, mankind had lived a life in a paradise without worry. Epimetheus told Pandora never to open the box she had received from Zeus. However, one day, Pandora's curiosity got the better of her and she opened it, releasing all the misfortunes of mankind (plague, sorrow, poverty, crime, etc.). Once opened, she shut it in time to keep one thing in the box: hope. The world remained extremely bleak for an unspecified interval, until Pandora "chanced" to revisit the box again, at which point Hope fluttered out. Thus, mankind always has hope in times of evil, but Hope has a great deal of catching up to do. The daughter of Epimetheus and Pandora was Pyrrha, who married Deucalion and was one of the two who survived the deluge.